The spring of 1964 saw some big changes for the Williamson's and for Chart. 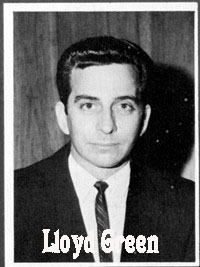 In February or March 1964 Jim Nesbitt came to the WPEH radio studios in Louisville, Ga. which Williamson owned and operated. Nesbitt brought a tape of a song he had cut in his home state of South Carolina called "Lookin' for More in '64". He convinced Willaimson to listen and although he wasn't thoroughly convinced it would be a smash, he did think it had strong possibilities. The next question was how to get it out. The answer came, as it had many times before, with Gary Walker. Williamson & Nesbitt met with Walker and he agreed to release it on Chart. Nesbitt and Williamson split the cost and had some promo copies pressed. The Williamson's and the Nesbitt's spent the next few evenings at the Williamson's place stuffing envelopes with the records and mailing them to radio stations. Almost immediately "Looking For More In '64" began to get strong airplay. The social commentary of timely events along with a slight kick of humor struck a chord with the public and sent the record rocketing up the charts. Now for the next problem . . . The didn't have any records to sell to the public! Williamson went back to Walker and offered to buy Chart Records. Walker really didn't want the worries and hassles of running a record company and since neither he nor Slim had much money he offered to sell for a mere $350.00. This is what it had cost Walker to have the label registered with the musicians union. 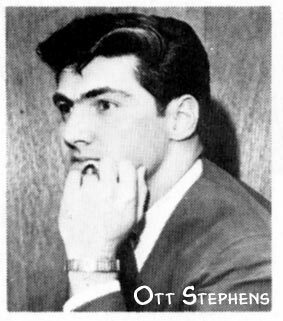 Williamson took on Ott Stephens, a DJ at WPEH, as a partner, and together they formed Chart Records, Inc on or about March 12th, 1964. Now to solve the record problem. With the agreement from Walker in hand and a recent copy of the record charts, Williamson went to Sound of Nashville, a record pressing plant that also had a good distributorship setup. An agreement was made with Joe Talbot, who was then head of Sound of Nashville, whereas Sound of Nashville would press the records, ship them, and collect the money, then they would pay Chart Records. It was kind of a reverse process, but it started the label in business! "Lookin' For More In '64" wound up selling over 42,000 copies and stayed on the charts for 27 weeks, peaking at number 7 on Billboard's Country Charts! A huge hit for an independent label's first official outing! 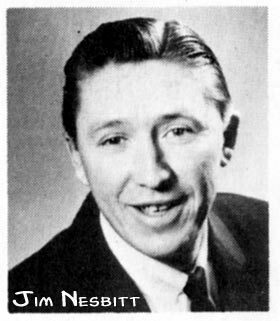 Nesbitt went on to chart 8 more singles and 2 LP's between 1965 and 1970. 1964 also saw the formation of Peach Music, Inc. which was affiliated with SESAC. SESAC had just opened their Nashville office and was looking for publishers. Roy Drusky was head of the office and Lloyd Green was his assistant. Green met Williamson his first day on the job and was instantly hired to play steel on a session being produced that week. 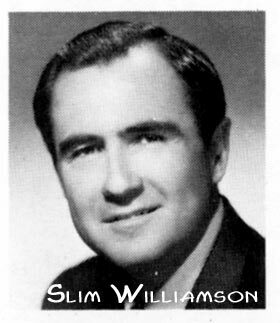 It wasn't long before Green was hired as session leader, a position he held until Williamson sold the label 10 years later. 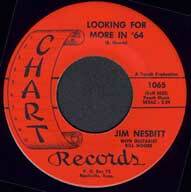 Nesbitt's "Looking For More In '64" was one of SESAC's first big hits and started things rolling for a lot of people. 1965 and 1966 were booming years for Chart. 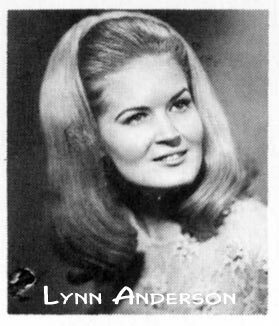 Not only was Jim Nesbitt consistently hitting the charts with hits like "Mother In Law" and "A Tiger In My Tank", but October 1965 would become the turning point for the little label with the signing of Lynn Anderson. On a whim Anderson decided to accompany her parents to Nashville to the Disc Jockey Convention. This was an annual event held in October in conjunction with the Grand Ole Opry birthday celebration. Liz Anderson, Lynn's mother, was going to receive an award for her song "Strangers" and it seemed like a fun thing to do for a seventeen year old to visit the place she had heard so much about. Never had she imagined the course of events that would follow that fateful trip! Liz was at the RCA booth and Chart was setup nearby. Slim Williamson, always on the lookout for new and fresh talent, overheard someone singing with Merle Haggard. When he looked to see who it was he discovered it to be none other than Liz Anderson's daughter, Lynn. Liz and Slim had been friends for many years and Liz had been one of the more prolific writers for Williamson's Yonah Music, Inc., a publishing company that had given Warner Mack "The Bridge Washed Out". As a matter of fact, she wrote many of Charts first "hits". After listening to Lynn sing, he asked her if she would like to cut a record. After much discussion with her parents, it was decided that she would. The very next day they were in the studio working on "We're Different" and "For Better Or For Worse" with Jerry Lane, another fine singer/songwriter at Chart, also assigned to Yonah Music. Although this single didn't exactly tear up the charts, it did pave the way for her first solo release "In Person". Her third outing, a bouncy little number written by Liz Anderson called "Ride, Ride, Ride" rode straight up the charts! It established Lynn as a major force in country music. Almost all of Lynn's subsequent records hit the top of the charts. 1966 also brought Lynn's first LP, "Ride, Ride, Ride" (LP-1000). It included the hugely successful title song, along with the very popular "If I Kiss You (Will You Go Away) [Billboard Top 5], plus one of her very own, "My Heart Keeps Walkin' The Floor". The world was also discovering Junior Samples in 1966. "The World Of Junior Samples" (CLP-1005) was a smash hit also. "The Worlds Biggest Whopper" brought Junior into the spotlight and led the way to him becoming a regular on the "Hee Haw" television series. According to Cashbox Magazine, between 1964 and 1966 Chart hit country's top 50 an amazing 15 times! Lynn Anderson had 3, Jim Nesbitt had 9, Junior Samples, Ott Stephens, and Tom Tall & Ginny Wright each had one. The address for Chart Records was still P.O. box 73, Nashville, Tenn. until release number 1095. Releases 1100 thru 1140 gave no address, but beginning with release number 1145 Chart had a physical street address. 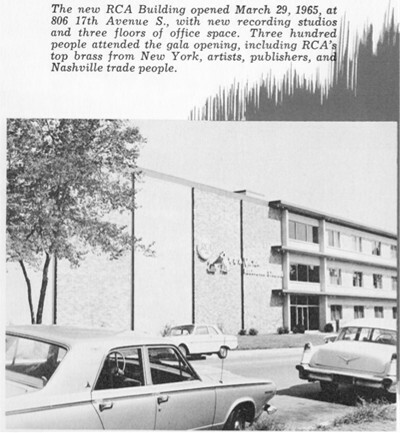 In the fall of 1964 their new home (for the time being) was a small office located at 905 16th Ave South, Nashville Tenn. They stayed there thru release number 1180. Beginning with 1185 in 1965 Chart moved to 806 17th Ave S which was the RCA building. They were to move one more time. 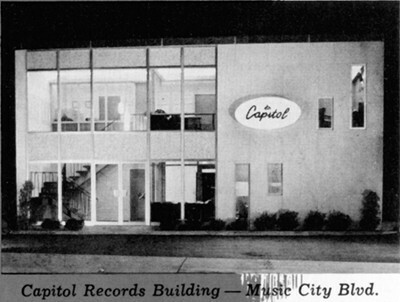 Beginning with Lynn Andersons first release with Jerry Lane, number 1300 in January 1966, the Capitol Records building located at 806 16th Ave South would be the home of Chart Records until 1975. The color scheme of the records starting with release number 1065 running thru 1495 was black graphics and lettering on a red label. During this period Chart released 3 long playing albums. Jim Nesbitt's "Sings Comedy and Heart Songs" (CLP-6500) in 1964, Lynn Anderson's "Ride, Ride, Ride" (LP-1000) and Junior Samples' "The World of Junior Samples" (CLP 1005) in the spring of 1967. The latter 2 were re-released as CHS-1001 and CHS-1002, respectively in late 1967. The success of Lynn Anderson caught the eye of many of Nashville's mighty music moguls. Danny Davis, Felton Jarvis, and Steve Shoals specifically. In mid 1967 after "Ride, Ride, Ride" topped the country LP charts, Danny Davis put a bug in someone at RCA's ear. Soon Steve Shoals and Felton Jarvis were arranging meetings and discussions about how to get Lynn over to the RCA stable. Slim Williamson knew that his company had a good thing going and he was not about to let a good thing slip out of his hands. He made it clear that he would not give up one of his star performers. After all was said and done, RCA agreed to manufacture & distribute Chart's entire catalog beginning September 1967. This provided a huge boost to Chart bottom line . . . Next up: The RCA Years.